From The Profession Of Bookselling: A Handbook Of Practical Hints For The Apprentice And Bookseller by A. Growoll, London, 1895. Pg 108. 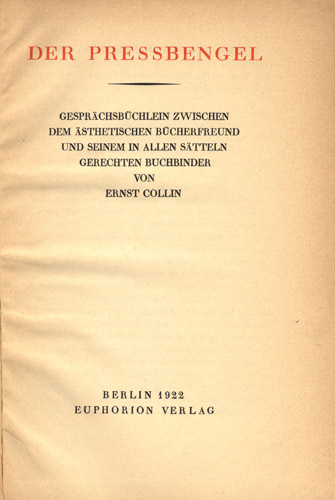 Georg Collin is the father of Ernst Collin who wrote Der Pressbengel (The Bone Folder). 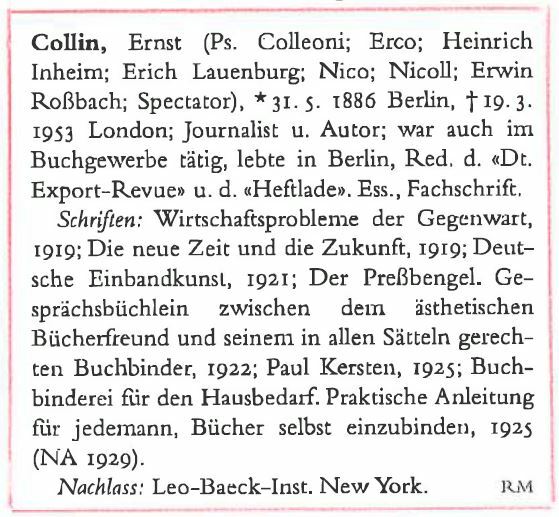 I am in the process of helping clarify much of the biographical information about Ernst Collin, author of Der Pressbengel (1922) that I translated as The Bone Folder several years back. 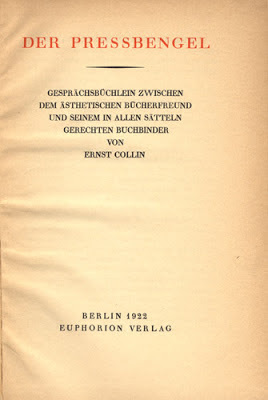 To set the stage, I am sharing this 1927 silent film that provides a wonderful picture of the vibrant Weimar era Berlin that Ernst Collin lived in. Granted, there was also the period of civil war, hyper-inflation and depression, but it was a relatively good time with incredible energy in the arts... Think also Dada, Bauhaus, the arts of the book, music... The music of Kurt Weill is a great accompanyment - it certainly was for me as I worked on the larger post to follow. The film was directed by Walter Ruttmann, and co-written by Carl Mayer and Karl Freund. It is an example of the city symphony film genre. 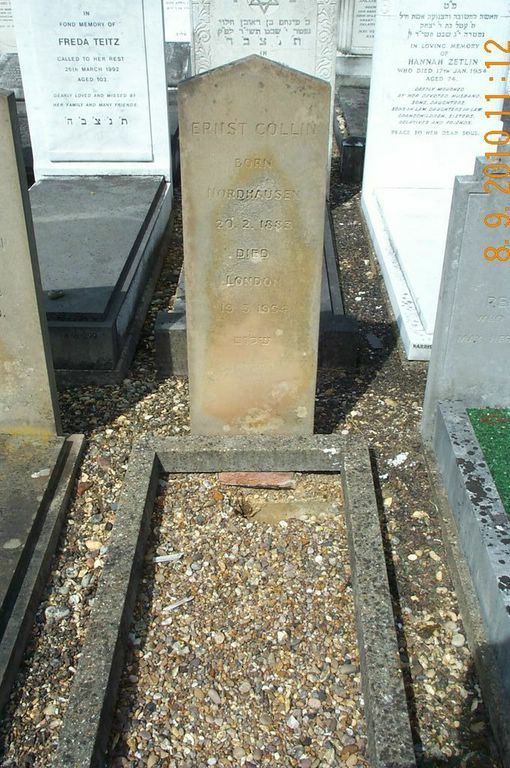 A musical score for an orchestra to accompany the silent film was written by Edmund Meisel. As a "city symphony" film, it portrays the life of a city, mainly through visual impressions in a semi-documentary style, without the narrative content of more mainstream films, though the sequencing of events can imply a kind of loose theme or impression of the city's daily life. 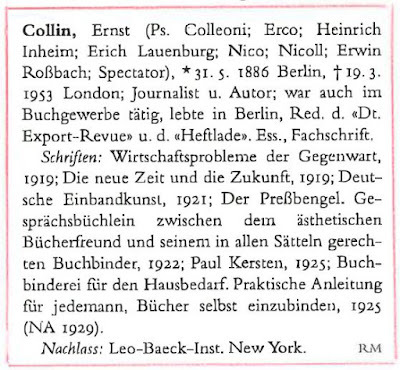 The (greatly) revised story of Ernst Collin, both of them,will follow soon.